Your horse's coat will shine and skin and hoof quality will improve. 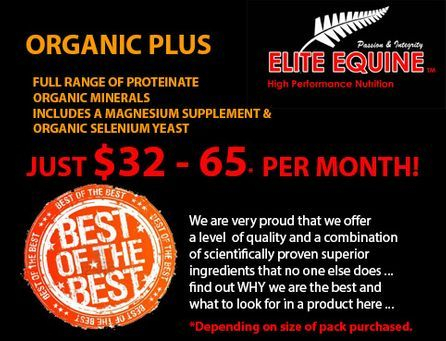 The best value organic minerals supplementation on the market! Are you paying a fortune for minerals and organic magnesium separately? We did some cost calculations and found that our pure high spec organic supplement Organic Plus is in some cases cheaper than buying INORGANIC minerals and organic magnesium! 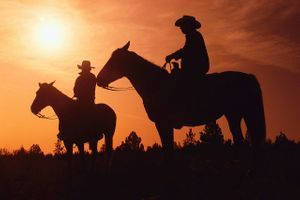 Some customers were paying well over a dollar a day for industrial chemical minerals and magnesium when they could be both saving money and supplementing their horses in a much superior way with highly absorbable and guaranteed contaminant free minerals. We encourage people to do their sums! ORGANIC PLUS costs as little as $33 a month depending on the size of the pack purchased. 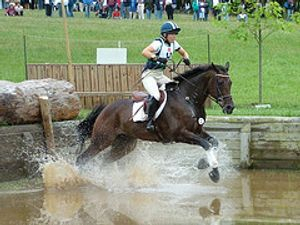 ORGANIC PLUS gives you the assurance that your horse is getting the very best mineral supplementation, at an extremely cost effective price. ORGANIC PLUS is non-toxic and safe to feed. Available in a 750g (1 month), 1.5 kg (2 months), and 4.5kg (6months) re-sealable packet. Directions - Feed 1 scoop daily. If the effect of the magnesium is required during the day, feed in the morning, if not, feed at night.